When getting to know Will Kroger, people learn very quickly to speak clearly and talk facing their body toward him. The reason is, Will reads lips to compensate for his hearing impairment. Studying a Bachelor of Entertainment Industries, Will says he often feels isolated in social situations due to the stigma around his hearing impairment. At 30-years-old, he may be known as a mature age student. But statistically, it is no surprise the journey to tertiary studies for him was a long one. Will is one of the 4 million Australians living with a disability. That’s 1 in 5 people according to the Australian Network on Disability. An institution as large as a university combined with a diverse and broad scope of what a disability may look like, it is easy to imagine just how many people living with impairments are on campus. Yet, in bars, balls and social events, they are virtually invisible. Why? They feel they are not welcome. Will says, people only cater to a certain idea of what a disability may look like. In Australia, each university may have an inclusion plan that covers academic assistance but that is where it ends. “When organising an event, such as a university run panel. I see this all the time. People think about wheelchair accessibility and that’s where it ends. There are also social,environmental, developmental disabilities and so many more, how are people risk assessing for that?,” Will says. 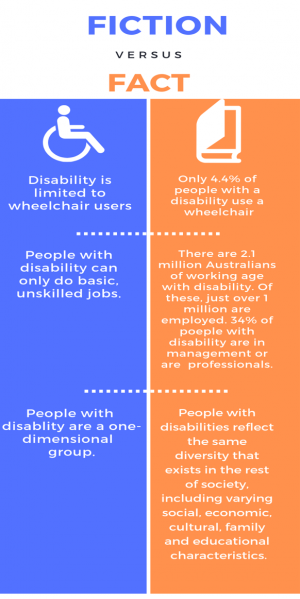 According to the Australian Network on Disability, only 4.4 percent of Australians with disability use a wheelchair and while accessibility is just as important, university students remain isolated from such an integral part of their tertiary experience. But Will looks to the University Guild and asks why there is no representation. Vincent Batten, QUT Guild President, agrees that there is a barrier between disabled students and community participation. “Certainly from a community standpoint, I think yeah it is really lacking and I think that is a space where the guild does play a meaningful part,” he says. Batten says the guild is currently working toward solving the lack of representation that spans wider than just academic assistance and wheelchair capability. He has spoken with Will about his idea of a collective, who would represent the disabled community across the campus. In South East Queensland, QUT is the only university that does not have an ability officer role in their student union. The idea of a role such as this in QUT was a pre-election promise. Four months after the election, the creation of this role still just a conversation. The National Union of Students is the peak body representing Australian university and TAFE students in the country designed to campaign and advocate for the best interests of students. Will Edwards is the disabilities officer for NUS and he has been looking into the role of student unions in supporting the social life of those with disabilities on campus. “I have spoken to a number of people about this and accessibility in student unions is a big issue. Accessibility in universities in general, is a huge issue,” he says. “It is NUS’ view that student unions are supposed to provide activism and representation for students,” therefore those events need to be accessible for all students. It is currently an NUS policy that every student union in the country should have a disability officer and they are in the process of reaching out to universities who don’t have one in the hopes to establish the role. In response to QUT Guild’s hesitancy to create a role due to fears that autonomy is not the right fit, Edwards disagrees. “Well, students with disabilities in the context of an individual student union should have the same type of representation as other marginalised groups on campus. If QUT has a queer officer, a gender officer then I don’t understand why you would need a different structure for students with disabilities,” he says. 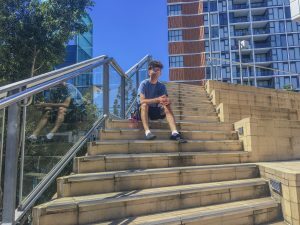 Finnian Sonter is one of the two elected ability officers for the University of Queensland but recognises even on his campus, social support is lacking. For less visible impairments, is it virtually non-existent. “They also didn’t consider noise being an issue.At events I have attended have occasionally been wheelchair accessible, but rarely will they account for Deaf or Blind students, students with sensory disorders or even students with dietary needs,” he says. Although the UQ student union may seem miles ahead of the QUT Guild, Finnian says it hasn’t been easy maintaining a role like this and affirming its importance. Will has spoken of similar struggles of being overlooked. Will says solving the issues starts with education. “First and foremost, is getting people together to break down how we can best service students with challenges on campus. And get rid of that labelling and discomfort,” he says. Will believes if students are not amplified better during their studies they will lose ambition to join the workforce as professionals. This is reflected in people with disability aged between 15 and 24 years who are 10 times more likely to experience discrimination and in almost half of the instances by an employer. In his final year, the promise of increased social support is not enough for Will, he is ready for action now. He at least hopes that things will change for disabled students who come after him. “The collective gives disabled students a way to unite and have a community that is solely for us. It gives us a space (we have our own room) where we can go without fear of harassment or discrimination,” Finnian Says. Will is determined to continue advocating for and educating people on how to make events more inclusive.